Candy Fair 2016 is Officially Open! 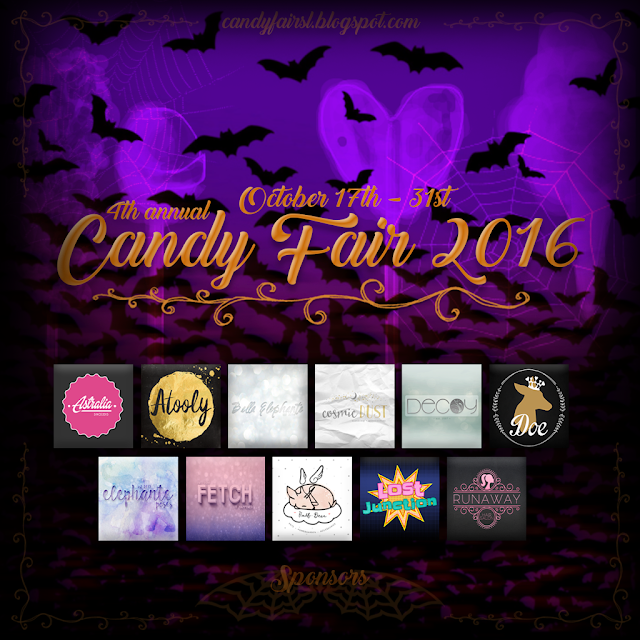 Candy Fair 2016 is now officially open! October 17th - October 31st! Come check out the spooky and cute candy treats! We have a special Trick-or-Treat event going on as well. Walk around to each booth participating and be sure to grab up free gifts by clicking on our Monster Candy Bowl vendors! Be sure to accepted the gift on the first try as it will only send once. Along with exclusive items to the fair we also have our Gacha Graveyard at the landing point! Many stores have put out new and old candy related gachas. Play you luck and maybe you'll win some spook cute goodies! While your at the fair be sure to pick up some exclusive and try your luck at entering our 3rd annual Photography Contest! All the info on that can be found on the Photo Contest tab on this blog. 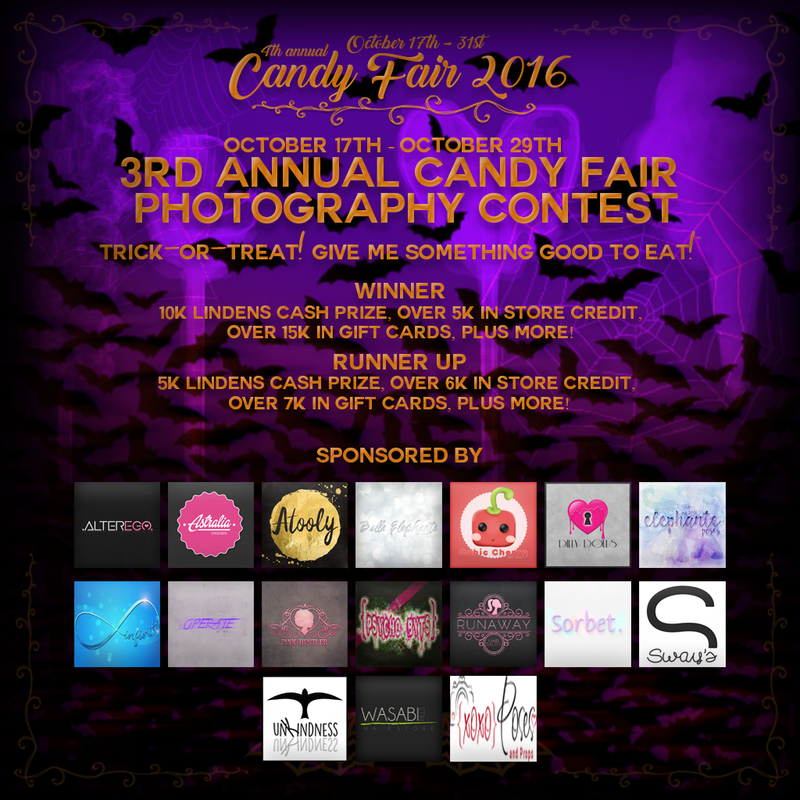 Thanks for the continued support of Candy Fair this is our 4th annual year running and we think its the best yet!